I'm not entirely sure, but I think the Titanic was a ship that had problems with refrigeration. Something about running out of ice, or running into ice, or something like that. Seriously, though, I think you'd be hard pressed to find someone that doesn't know at least something about the Titanic. Rather than rehash what thousands have written before, I'll just suggest you go read "The Other Side of the Night", which tells the Titanic story from the viewpoint of the captains of the Carpathia and Californian, the two ships that were closest to the sinking Titanic that fateful night. This year marks the 100 year anniversary of the sinking of the Titanic, and to mark that occasion, Academy has released their quality 1/700 kit of the RMS Titanic. The kit is molded in multiple colors, so a novice could build this without paint and have a somewhat realistic depiction of the Titanic. 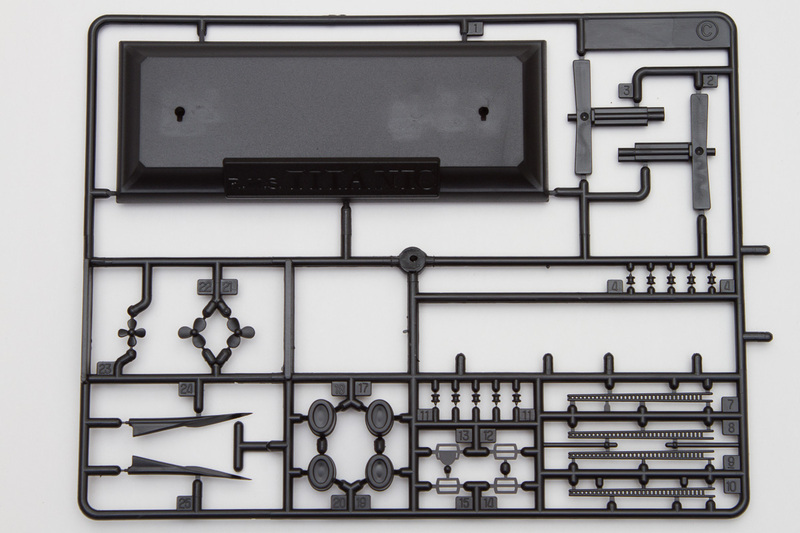 For the more dedicated modeler, construction begins with the main deck assemblies. There are quite a bit of extra detailing fitting onto the various deck pieces, including cranes, capstans, and vents. 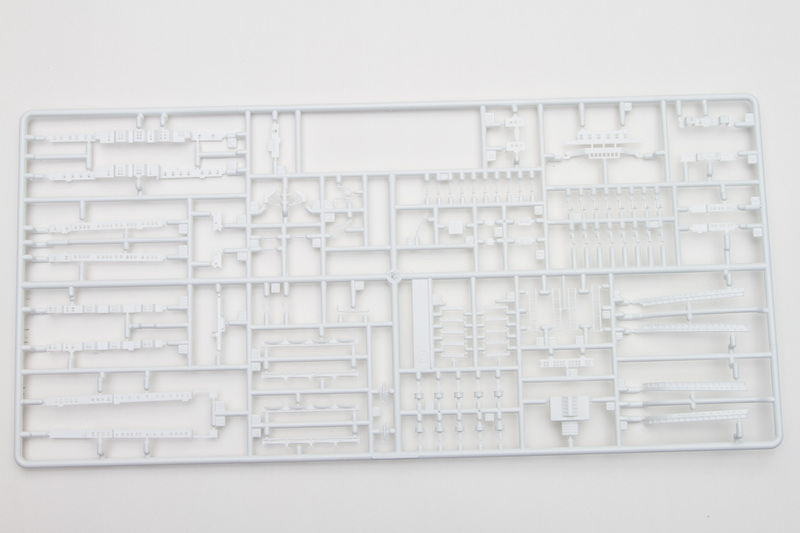 The main central deck assembly has separate sides for all the various compartments, and given how all of this goes together and is painted, it might be best to paint these in assemblies before gluing it all together. With the lower deck together and with the walls in place, the upper deck can be fitted in place. This has a similar arrangement, so again some prepainting might be in order here. 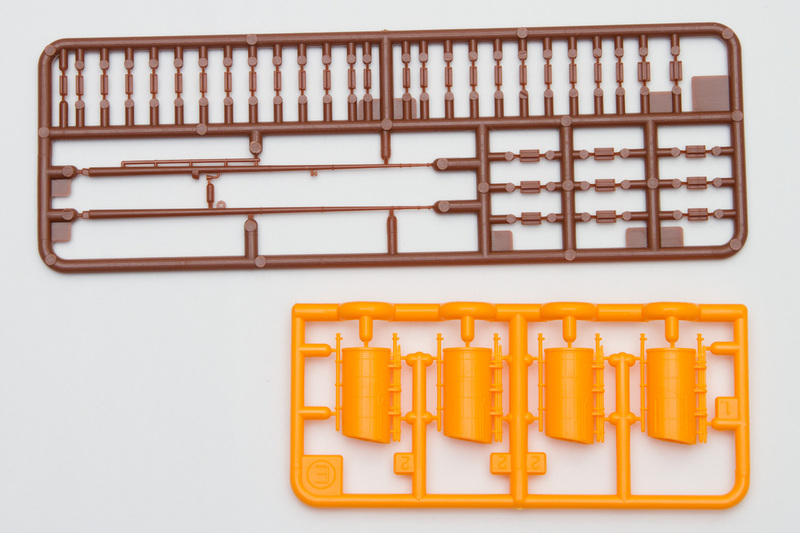 The lifeboats are provided as a group molding, with four to a section, which makes assembling these quite a bit easier. Continuing upward, the funnels are nicely done, with separate inserts for the top of the stacks. These fit onto the upper deck, which then fits on top of the main deck, which in turn fits on top of the main upper hull piece, along with the forward deck and rear deck assemblies. Moving on to the actual hull details, the side prop shafts are separate, and all three screws are separate. The forward deck and rear deck sections both feature separate railing pieces, and once all of that is in place, the last step is to add the front of the bridge, the last couple masts, and the decals. The decals are minimal, being the Titanic name on the bow and stern and the flags for the masts. Finally, there is a simple stand to display your finished model upon. While presented somewhat simplistically, this kit remains one of the better Titanic models out there, and its 1/700 scale means it will fit in with other ship kits quite nicely. My thanks to Academy and MRC for the review sample.